Award winning storyteller and director Jason Zada makes his feature film directorial debut with Columbia Pictures' terrifying horror-thriller “The Forest,” starring Natalie Dormer and Taylor Kinney and produced by David S. Goyer. 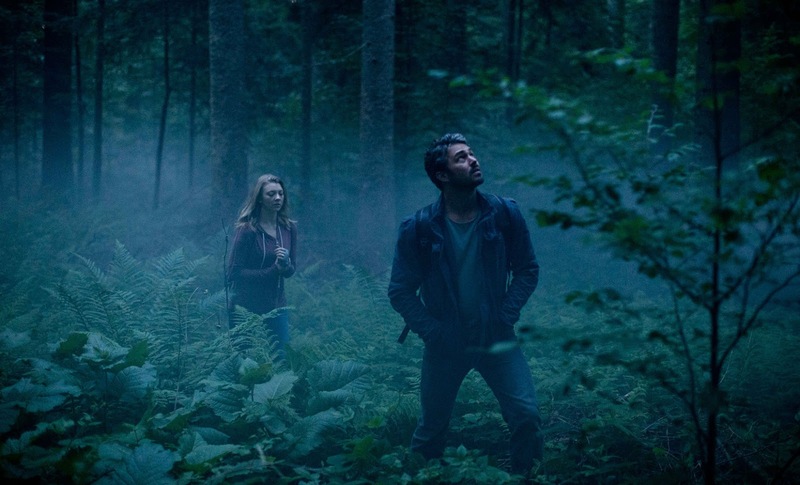 The film is set in the Aokigahara Forest, a real-life place in Japan where people go to end their lives. Against this backdrop, a young American woman (Dormer) comes in search of her twin sister, who has mysteriously disappeared. Despite everyone’s warnings not to “stray from the path,” Sara dares to enter the forest to discover the truth about her sister’s fate, only to be confronted by the angry and tormented souls of the dead who now prey on anyone who crosses their paths. The evil spirits inhabiting a place such as this, the guide explained, would often cling to the backs of the living, piggybacking all the way home to wreak havoc on those who dared traipse into their abode. Apparently, a good salting makes corporeal beings considerably less appetizing to the undead. It was not Zada’s first brush with superstition during the research trip. The first guide Zada hired cancelled after his mother had a dream she believed to be a harbinger of doom, while a second backed out after he similarly interpreted some unspecified personal misfortune. The third guide showed…but came packing a satellite phone and a no-foolin’ contingency plan: Should he fail to make any of his prearranged hourly check-ins to a friend, an emergency call would be made to the authorities.